Our professionals are going to be using specialized and state of the art equipment in order to handle your conditions. This is going to allow us to properly identify your problem areas and determine the exact cause of the condition in the first place. This is essential when it comes to coming up with a proper treatment plan as failure to identify a particular condition, or its complications could lead to some even more severe consequences. 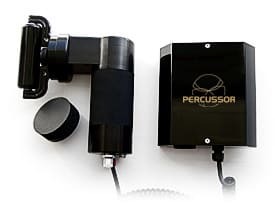 With this in mind, we’d like to inform you that we are using the Erchonia Percussor Therapeutic device which is without a doubt the best in the industry. The device comes in a particularly versatile plastic design which is going to allow our practitioners incredible access to each and every part of your anatomy. The Frost is not just used for static trigger pin pointing application, but it also has the proper ability to easily slide over the skin and your clothing. It is perfect for examining long muscles like the forearm flexors or the IT band. This particular equipment is best used on athletes as it’s going to implement a firmer technique. It is excellent for breaking deeper adhesions as well as for elongating the fascia. The cylindrical design is particularly helpful for the scapular and shoulder region.